FODMAPs stand for “Fermentable Oligosaccharides, Disaccharides, Monosaccharides and Polyols”. FODMAPs upon ingestion pull water into the digestive tract by osmosis. Plus they also get fermented into byproducts that can cause gastrointestinal distress such Bloating, indigestion, gas, flatulence. They make one ” windy”. They are also referred to as ” gassy foods”. Australians scientists at Monash University Dr Peter R Gibson & his team have done a lot of pioneering work in the field of FODMAPs’s role in digestive discomfort. 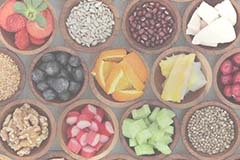 FODMAPs are short chain carbohydrates ( sugar molecules) that are known to cause gastrointestinal distress in consumers. 3. Fructan: Garlic, wheat, onion, and etc. 5. Polyols – are the Sugar alcohols found in food sweeteners containing Lactilol, xylitol, mannitol, malitlol, sorbitol and stone fruits apricots, peaches. plums and more. I have grown up with turmeric as a part of my diet as part of my culture. Curcumin is an active ingredients of a spice called Turmeric. Turmeric is the root of a plant called Curcuma longa. It is an ancient herb and has been known to the Indians, Chinese and Eastern civilizations for thousands of years. Turmeric is the uncrowned King of Spices. It is a key ingredient in every delicious Indian dish. Turmeric is used in cooking, drinks, skin care products and as an antiseptic. Turmeric has a very sacred and spiritual place in the Vedic cultures as it is used in prayer ceremonies to the Gods. Curcumin is a polyphenol with antioxidant properties and has been extensively studied all over the world including at MD Anderson Cancer Institute. It has shown benefit in suppressing NF kB & TNF-alpha a culprit molecule for inflammation. There are thousands of research studies highlighting the benefits of curcumin on human health including benefits in decreasing pain & inflammation and promoting digestive health. 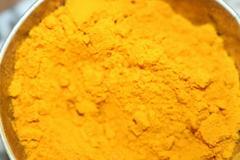 According to numerous studies Curcumin may have anticancer properties. Lots of gastrointestinal conditions have increased inflammation associated with them such as IBS, Colitis and Celiac disease. A new worldwide epidemic is fatty liver that is associated with inflammation and injury to the liver. Curcumin may be able to help with digestive symptoms by decreasing gut permeability and decreasing gut inflammation. Curcumin in its parent form Turmeric is part of almost all ayurvedic and herbal digestive health products. Curcumin is converted by gut flora into tetrahydrocurcumin which is its active form. Then it is absorbed by gut lining cells and eventually transported to the liver from where it is spread all over the bodies. 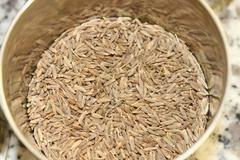 Amongst all microbes in the gut E. coli has a big role in metabolizing cur cumin. I would encourage increase consumption of turmeric infused foods and drinks. Indian food ( infused with spices and turmeric) is easily available in the World since Indians have emigrated all over the world and tend to bring their cultures with them. Turmeric & spices will invigorate your mind and your gut. GO YELLOW !